Bring Purple Teeth to your party! 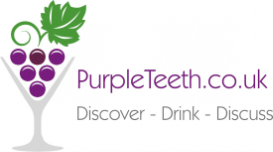 Corporate Event, Team Building, Wedding, Birthday Party, Engagement, Hen or Stag Party, whatever the occasion, Purple Teeth can help you get the most out of your event. You bring the people and place, we bring the wine and the fun. All events are bespoke-tailored to suit your budget and requirements. Wine is our primary focus, but if you'd prefer to taste spirits from around the world, learn more about malt whisky, or taste the difference between premium vodkas, we can help. Our philosophy is simple: Wine is meant to be enjoyed. And we want to help you and your guests enjoy wine as much as possible. We source and present a selection of wines to help you and your guests learn more about wine, where it comes from and how it's made. We pride ourselves on delivering light-hearted and entertaining tastings, which are also educational. If you already have firm views on what you love, we can also provide themed tastings such as "New World versus Old World", "Sparkling Wines", "Dessert Wines", "Wines of France", or "Right Bank versus Left Bank". Or we can keep you guessing with our "guess the wine" challenge. We help to select the right wines for your wedding, or large corporate event. Matching the food you'll serve with the right wine can be a mine-field. We offer a bespoke and independent advisory service. We can also source and supply wine from our range of independent suppliers. For events in a private residence or non-licensed premises, we require 21 days notice to enable a Temporary Event License to be prepared and sourcing of suitable wines. The costs of this are included in the package price. Consultation available for selecting a wine list for your bar or restaurant, writing the wine descriptions to entice your customers, pairing wines with your menu selection for weddings and events. My career background is in Customer Experience, you can be sure I'll have your customers in mind! Need a Wine Expert to appear on your Radio or TV show, or at your private function for private speaking? I'm TV training academy trained, have appeared on live radio, and I'm a public speaker who also runs workshops in confidence.